It’s that time of year again – time to celebrate Penguin Awareness Day, which falls on Jan. 20 every year. This year’s celebration is especially important as we focus not only on the African penguins at Georgia Aquarium, but penguins around the world. Last month, Georgia Aquarium penguin care experts joined the Southern African Foundation for the Conservation of Coastal Birds (SANCCOB) to assist in releasing a total of 57 rehabilitated African penguin chicks. 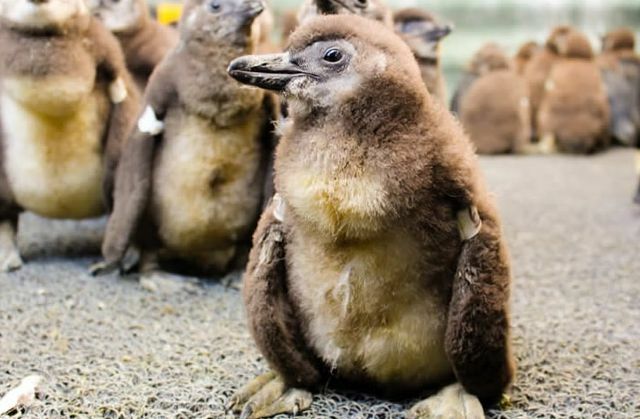 These chicks are stranding in increasing numbers over recent years, averaging between 600 and 900 penguin chicks per year. This is due to environmental factors, including oil spills, food shortage, degrading habitats, and predators. Kristen Hannigan, senior trainer, and Gina Fisher, associate curator, both had the opportunity to spend two weeks in November and December at SANCCOB helping with the rehabilitation process. For both Kristen and Gina, it was their first time visiting the seabird rescue facility, but it is an experience that neither will forget. The days were long, averaging around 11 or 12 hours, going on for 10 or more consecutive days. 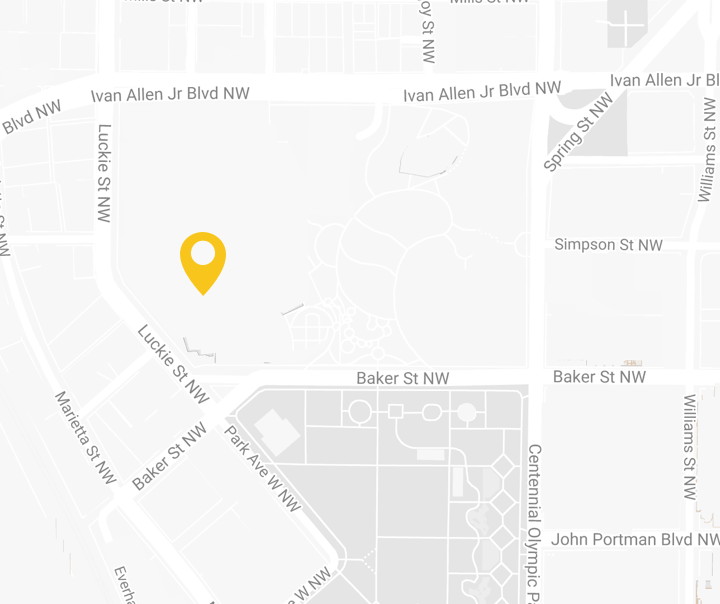 The team would start at 8 a.m., checking the daily planning board to find their assigned areas. After a quick morning briefing, Kristen and Gina picked up their protective gear, including arm guards, eye protection, oilskin slickers, and gloves and got to work. The first task of each day was to supply each penguin with a combination of medication, supplements and electrolytes. At 10 a.m., the penguins were given fish and formula, with water at noon, followed by fish and formula again at 4 p.m. Between the feedings, volunteers and workers prepared and cleaned up the food and pens, as well as kept very detailed records of each penguin. The pens held anywhere from 100 to 200 penguin chicks, all needing to be fed and cared for on a rigorous schedule. In November, Kristen and other volunteers assisted in the release of 23 African penguins, and in December, Gina and other volunteers assisted in the release of 34 penguins. 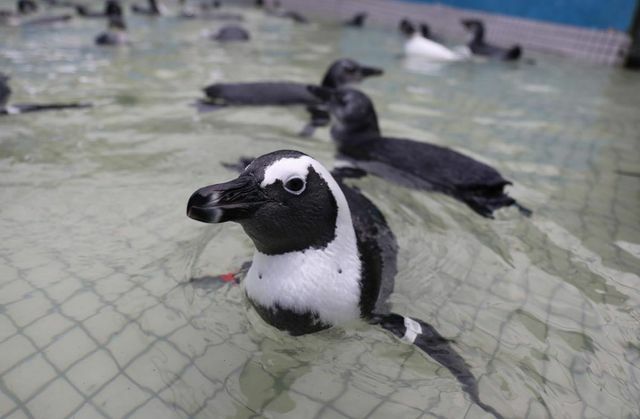 When asked if the trip to SANCCOB would impact how they viewed Penguin Awareness Day this year, both trainers nodded. Follow Georgia Aquarium on Facebook, Twitter, and Instagram to see all of our Penguin Awareness Day coverage. 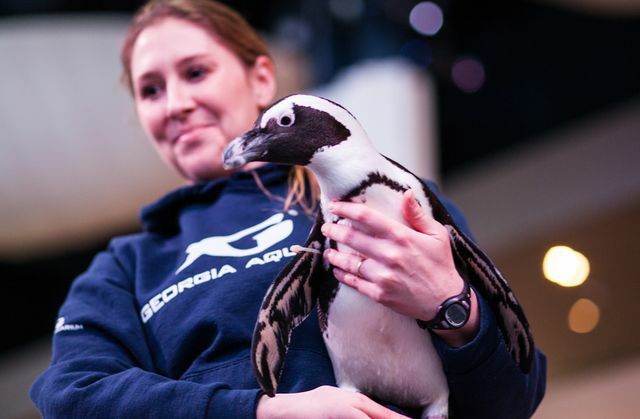 Visit Georgia Aquarium on January 21 from 11 a.m. to 2 p.m. to Party with the Penguins! For an up close view of our African penguins, don’t miss our Waddle Walk. To learn more about SANCCOB and to donate, please visit sanccob.co.za/donate. To adopt and sponsor a penguin chick at SANCCOB, please visit sanccob.co.za/adopt.